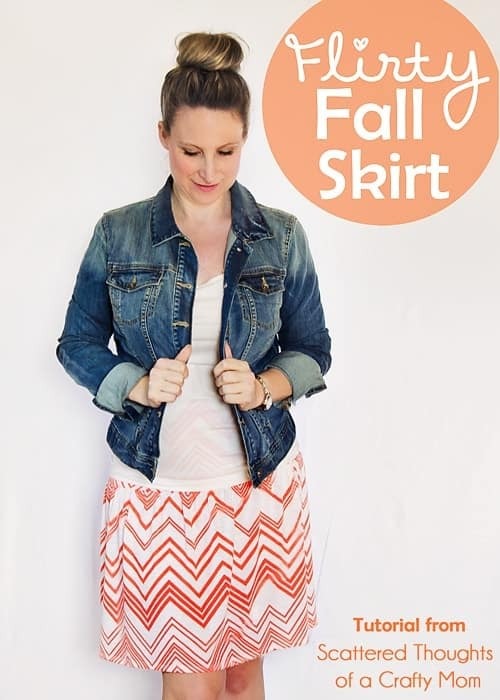 One of my favorite looks for Fall include a fun skirt paired with a jean jacket and booties, so I was thrilled to find this Flirty Fall Skirt Tutorial from Jamie of Scattered Thoughts of a Crafty Mom that is the EXACT style I want to replicate. This super simple tutorial includes thorough instructions for every step of the way, from creating the perfect pattern based on your own body measurements to those last finishing touches. Click here for the entire tutorial and happy sewing! When attaching the elastic, remember to stretch the elastic while you sew without stretching your fabric. 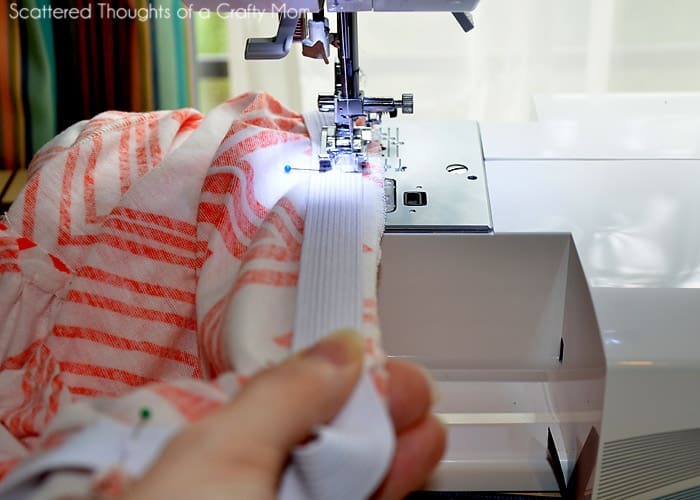 Jaime's instructions include a great trick for keeping the elastic and the fabric evenly distributed as you sew, by marking each in even increments and pinning at each marker.